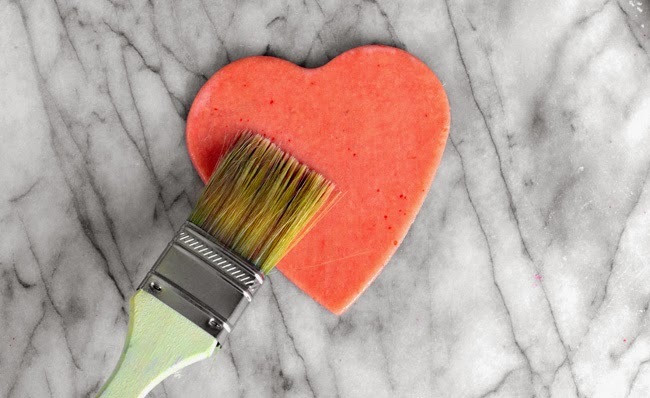 With Valentines Day right around the corner, it's time to start thinking about how you'll say "I love you." I prefer to keep things simple, always opting for a sweet treat in lieu of the traditional paper valentine. There's no need for frosting with these cookies, they get their light pink hue and strawberry flavor from strawberry flavored Jello. 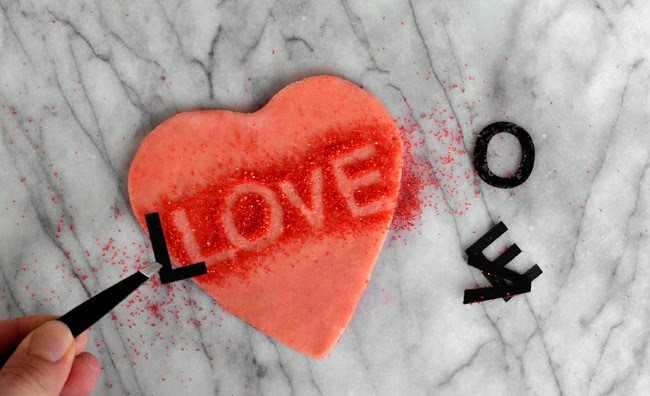 Here's a simple trick to keep your message short and sweet with some decorating sugar and a few letter stickers. Once you get the "knock-out" technique down, the possibilities are endless. 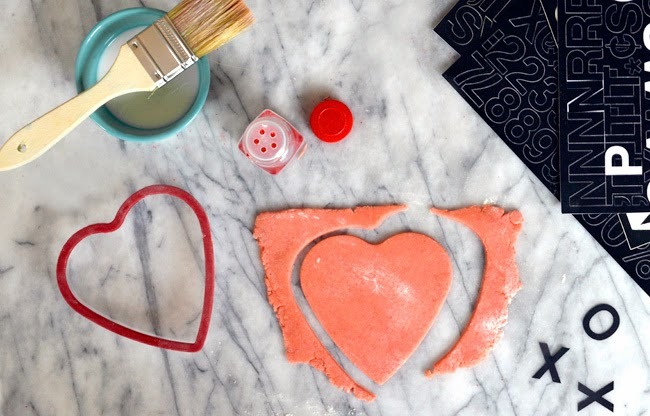 Don't stop at letters, you could create hearts, stripes or even a giant monogram letter by cutting the shape out of parchment paper. 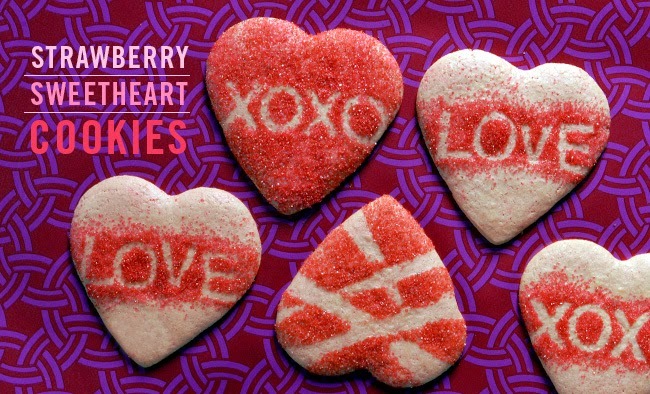 And if Valentine's Day really isn't your thing, keep this cookie recipe in your arsenal for a rainy day, because these cookies are sweet & tasty. Brush a thin layer of milk on the dough so the sugar will stick. A clean pair of tweezers make removing the letters much easier. Use parchment paper strips to create an easy stripe patten. 1. 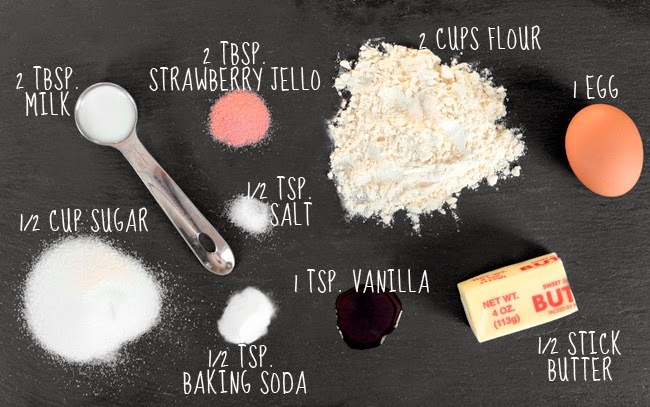 Combine flour, baking soda, salt and strawberry Jello in a small bowl and set aside. In the bowl of a stand mixer fitted with the paddle attachment, beat the butter and sugar until light and creamy. Add the egg, vanilla and milk and continue to mix until incorporated. Add in the flour mixture mixing until dough just comes together. Wrap the dough in plastic wrap and refrigerate for at least 2 hours, or until firm. 2. Preheat oven to 350°F. Line a cookie sheet with a baking liner or parchment paper and set aside. Lightly flour your work surface and remove the dough from the refrigerator. Unwrap and roll out the dough to 1/8-inch thick. 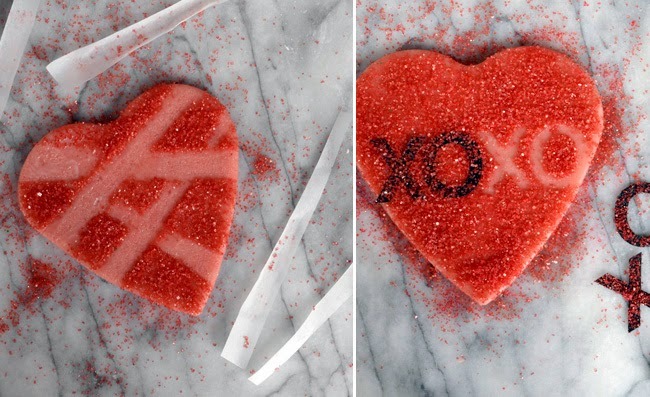 Use a large heart cookie cutter to cut out as many cookies as possible. 3. 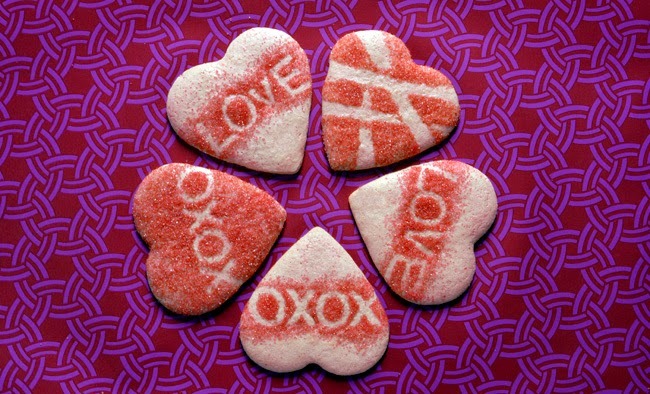 Use a pastry brush to apply a thin layer of milk on the cookie, then arrange the letter stickers on the dough. 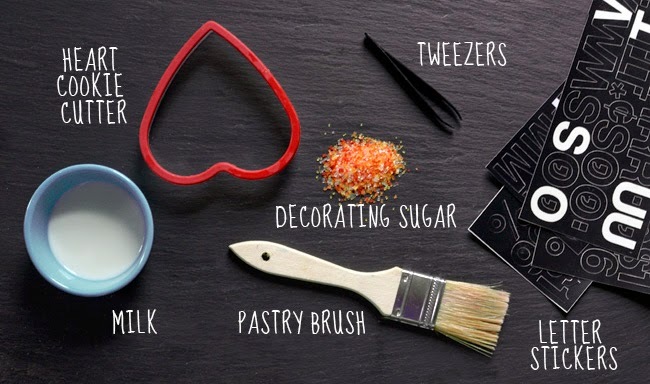 Lightly sprinkle the colored sugar over the letters, making sure to cover the edges of the letters. Carefully remove the letter stickers (this is where the tweezers come in handy!) to reveal the word. Move all the cookies to the cookie sheet , then bake for 10 minutes. Cool completely and store in an airtight container.